BOSTON: Iron Mountain, an information storage and management company, has chosen FleishmanHillard as its AOR, replacing Weber Shandwick. Christian Potts, director of corporate communications at Iron Mountain, said his company put the AOR work up for review in the second half of 2018 and invited as many as eight agencies to pitch, including Weber. He confirmed that Iron Mountain began working with Fleishman on the global account out of its Boston office last month after an AOR relationship with Weber of at least a decade. Potts declined to name the other agencies invited to pitch or details about the contract with Fleishman. "Weber had been a fantastic partner for a long time," Potts said. "A lot of folks there are really true pros, and I don’t have anything bad to say. We just felt given the direction we have gone as company, the goals we have, and how we’re dropping ourselves in new categories, it felt like we needed a partner to do that, so we opened it up for a competitive RFP." A Fleishman spokesperson declined to discuss details about the Omnicom Group firm’s work on the account. 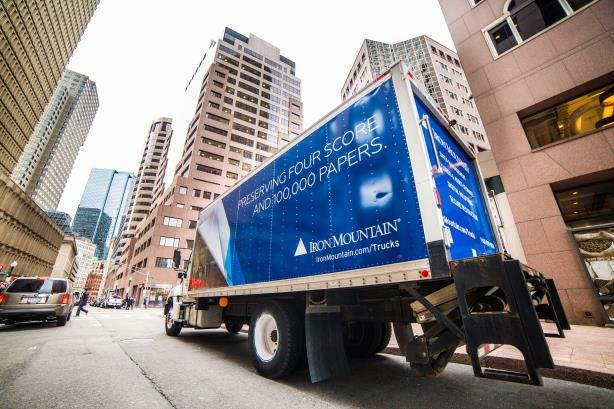 "We’re excited to be the new AOR for Iron Mountain, a leading and iconic Boston brand," the spokesperson said, via email. "We are honored to have been chosen as Iron Mountain’s communications partner and energized by the opportunity to leverage FleishmanHillard’s corporate and technology storytelling expertise in collaboration with the Iron Mountain team." A Weber spokesperson confirmed the agency stopped working for the company at the start of last month and said in an emailed statement that it is "proud of the work that we did in partnership with Iron Mountain." Iron Mountain reported Q4 2018 revenue of $1.1 billion, an organic revenue increase of 3.5%, while full-year revenue was up 3.6% organically to $4.2 billion. The company posted net income of $159 million in Q4 and $365 million for all of last year.